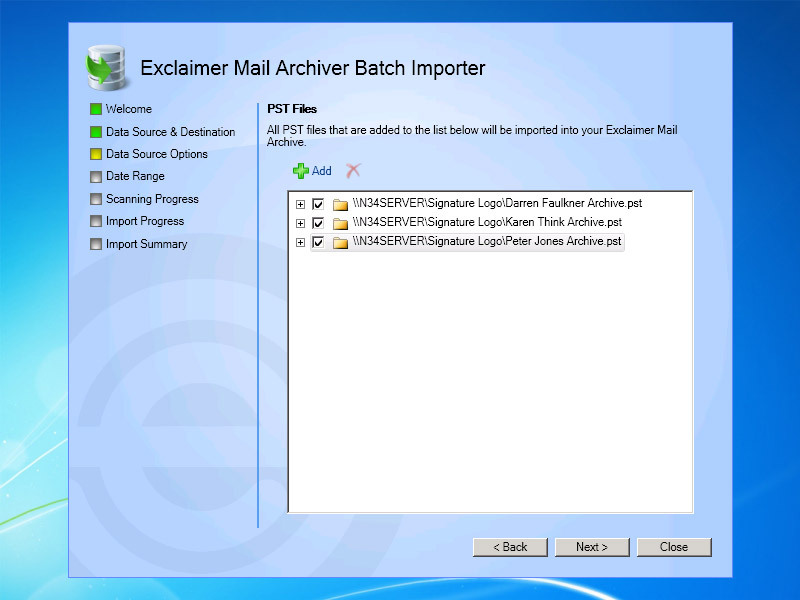 Batch-import all your PSTs into a central, secure store – but give end users all the functionality they had, and more, through a powerfully flexible search UI. 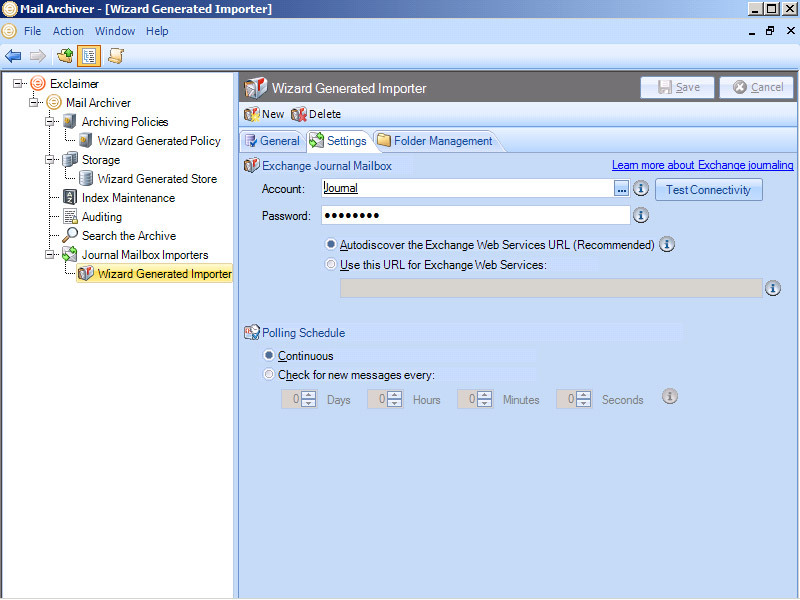 Point us at your PSTs and existing mailboxes and we'll pull them in with our dedicated import tool. 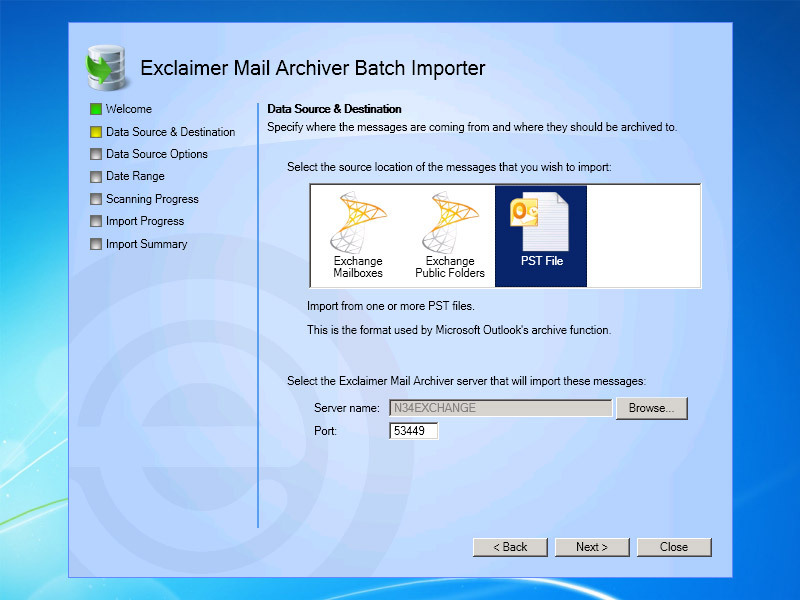 Because we're transferring mail straight from your Exchange journaling mailbox, or mailboxes, if any part of your system cuts out we can always pick up exactly where we left off. 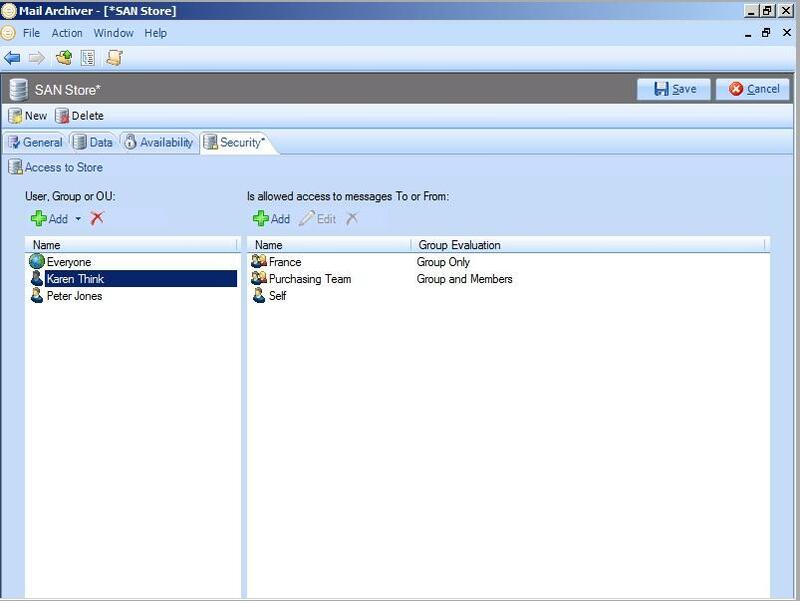 Exclude and include senders or recipients based on Security/Distribution Groups, Organizational Units, names, job titles and more – and emails based on message body, subject, date, time and more. 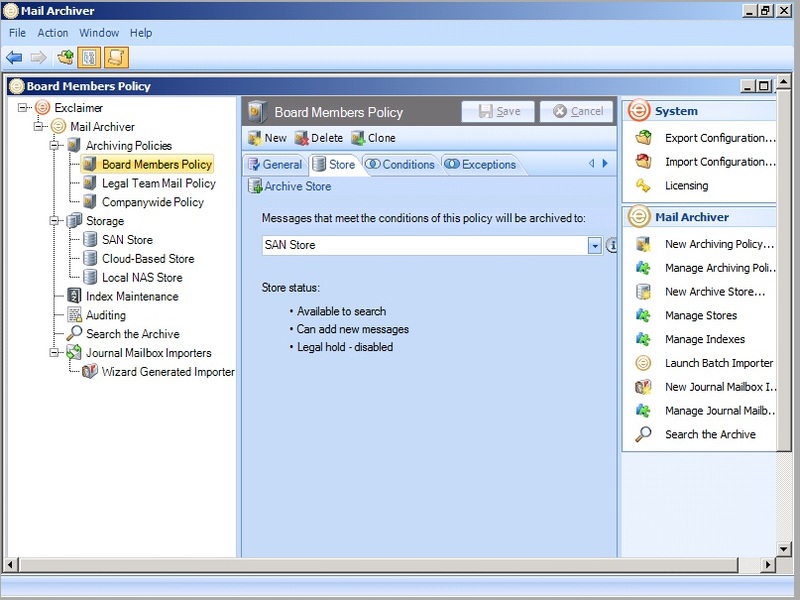 By default, each user can see any mail they've ever sent or received – but you can set rules to add more stores, users and groups to their search for maximum business benefit. End users can search on words, like a search engine, but also search for specific addresses, time periods or a combination of them all. 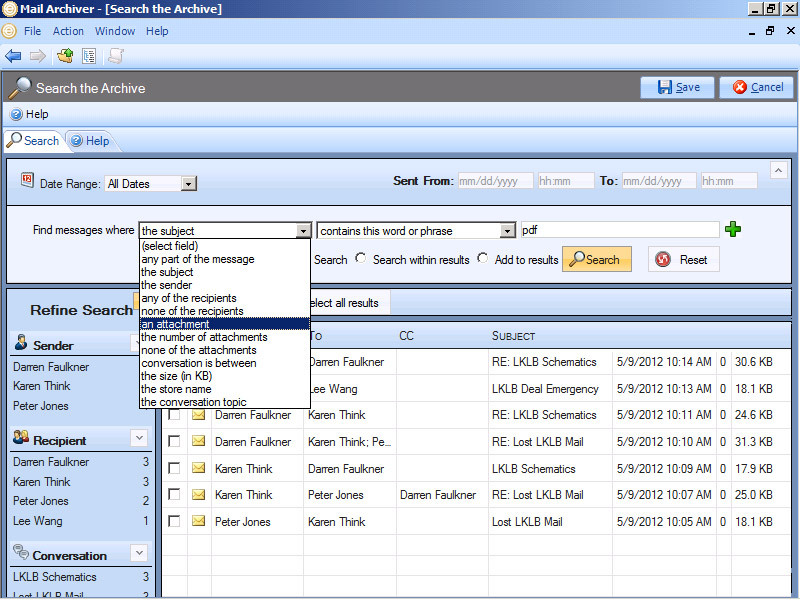 Find the email you’re looking for by adding a filter to your search query at the top or allow the ‘refine search’ option on the left to do it for you – quickly and easily. 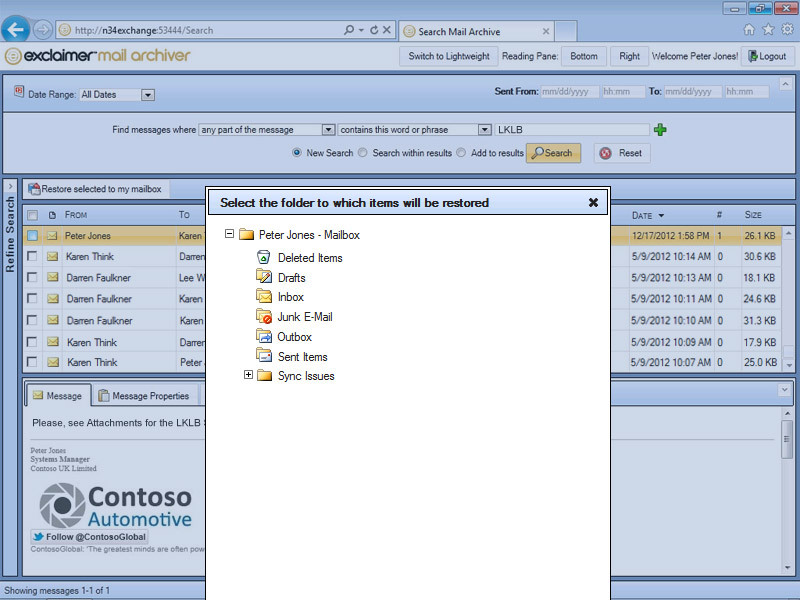 All users can restore an email to any Outlook folder as if it never left in the first place. 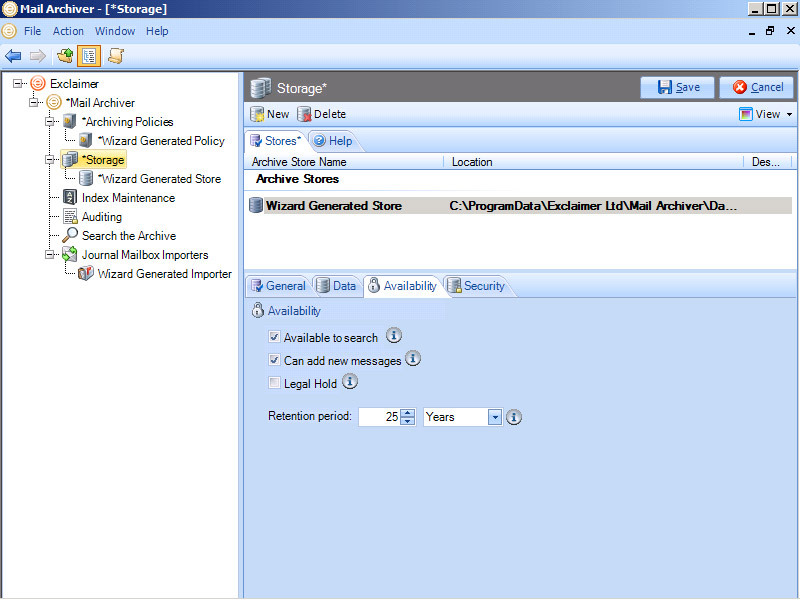 Choose a single email or even a complete conversation to restore simply and smoothly - useful when you need to reply to an email quickly and you have hundreds to sift through. We've included all the legal hold and retention settings necessary to comply with Sarbanes-Oxley, HIPAA, the UK Companies Act, ISO 9000 and beyond. 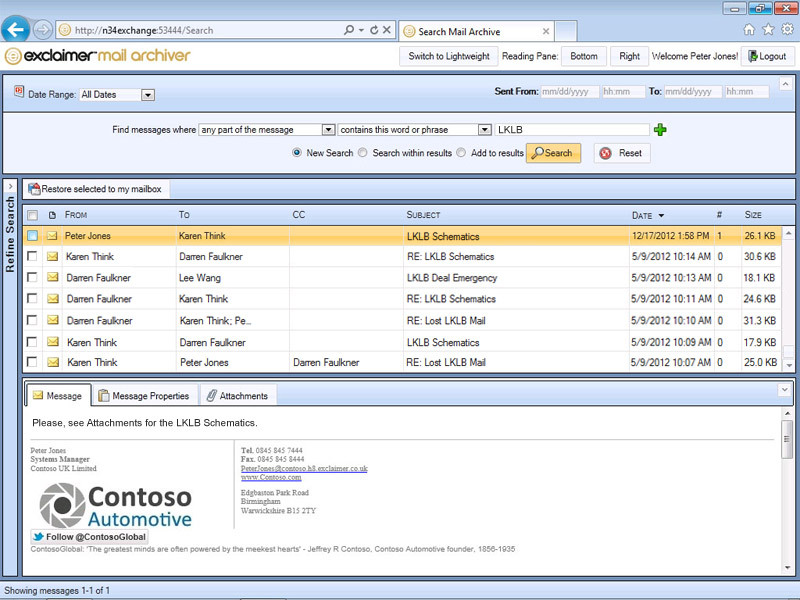 Users expect to manage email within Outlook, so we've provided a fully featured Outlook Add-In that integrates seamlessly with Outlook 2019, 2016, 2013, 2010 and 2007. It's very easy to install and uninstall our products, we leave no code on your machine, so the best way to really learn how we can benefit you is to try it.